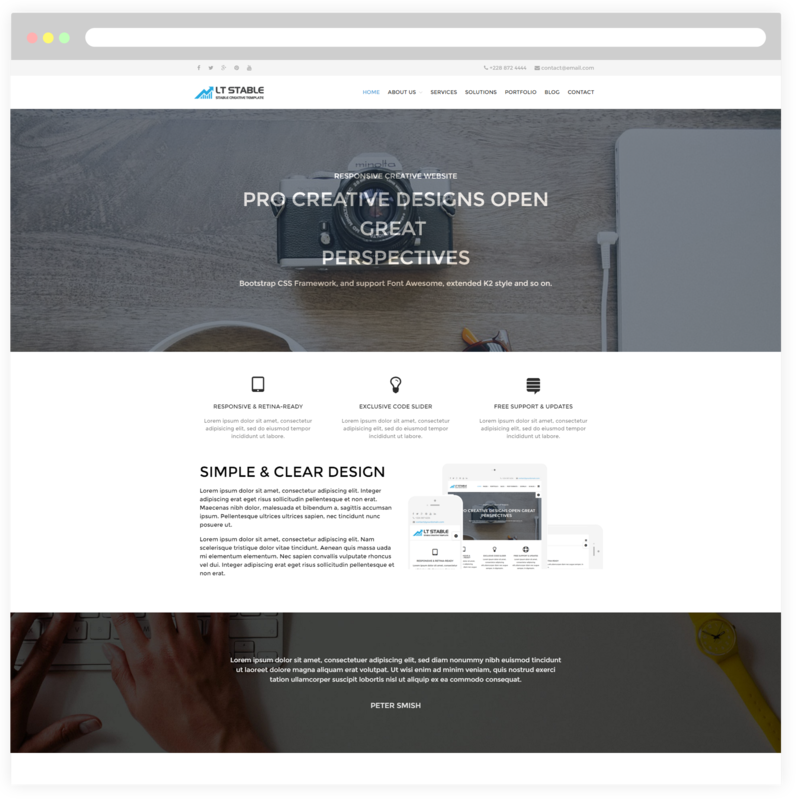 Developing modern and stylish site for creative design of One Page Company WordPress theme and make it attractive! 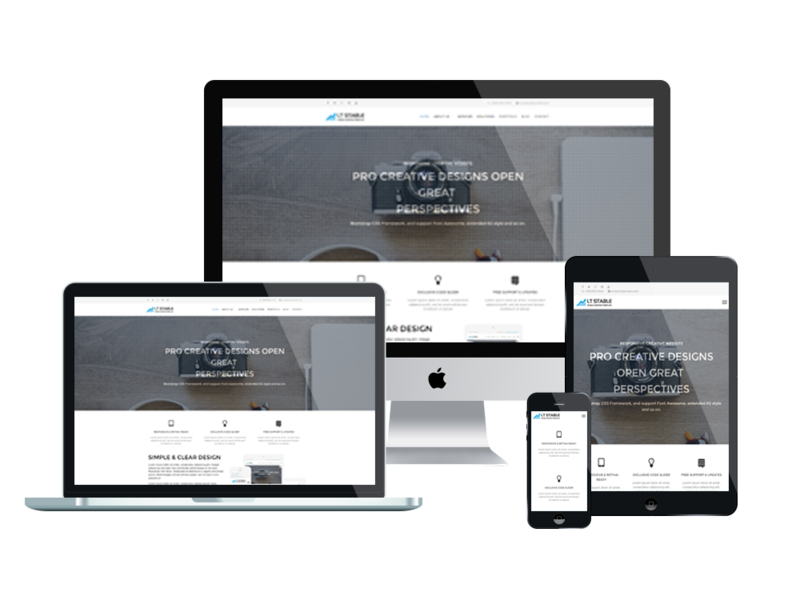 LT Stable Onepage is a free single page version of LT Stable WordPress Theme (multi-page).The theme has been designed in simple but elegant way for any kind of creative agencies or promoting your personal portfolio site. It helps you to showcase the site appearance and feel, promote and establish a successful brand for it. LT Stable supports 100% responsive that automatically adapts to any possible screen of all mobile devices and organize all the content in the best eye-catching way. Besides, this theme offers you unlimited color with a color picker from admin panel to create unique and amazing website appearance. 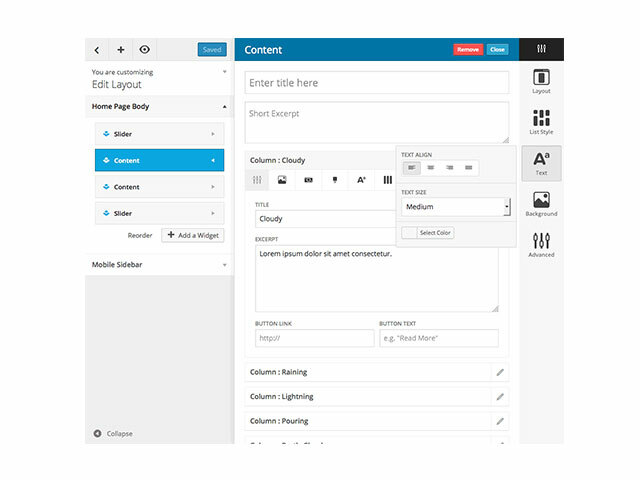 Moreover, Bootstrap CSS & Hybrid framework with strong shortcode and drag-drop layout content are supported to help you develop your site conveniently without any effort. Go and grab this amazing theme now!